Born in Sannicandro Di Bari, Italy. It is with great sadness that we say goodnight to Gennaro Beato. 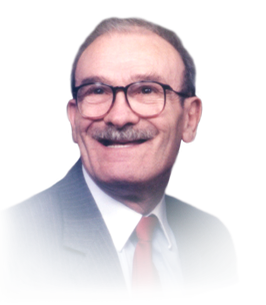 He will be greatly missed by his wife of 68 years, Antonia; 4 children: Domenica (Antonio), Mariella (the late Lawrence), Tommaso (Anna) and Delores (David) Ayers; 9 grandchildren and 7 great-grandchildren. Beloved brother of Martino in Italy, 4 sisters in Montreal, all of his brothers-in-law and many nieces and nephews in Canada, Montreal, Italy and New York. Beloved friend of many. Gennaro was the proud owner of a Delicatessen in Sannicandro. Visitation Tuesday, March 12, 2019 from 3-5 and 7-9 p.m. and Wednesday, March 13, 2019 from 10:30 a.m. until the time of the funeral service at 11:30 a.m. at Families First 3260 Dougall Ave. South Windsor, 519-969-5841 Entombment Heavenly Rest Cemetery.